I can't remember if I've ever shopped Avon. If I did, it was a very long time ago. It's been quite awhile, I like their eyeliners. It was years ago, however I did shop at Avon. It was a perfume that I purchased. It's been a few years, but I used to always order the Skin So Soft sunblock. I remember that all Avon products were very high quality. I have shopped with Avon but it has been a few years. I use to buy Skin-So -Soft. Yes i have! Since i was a teenager! Still do to this day. 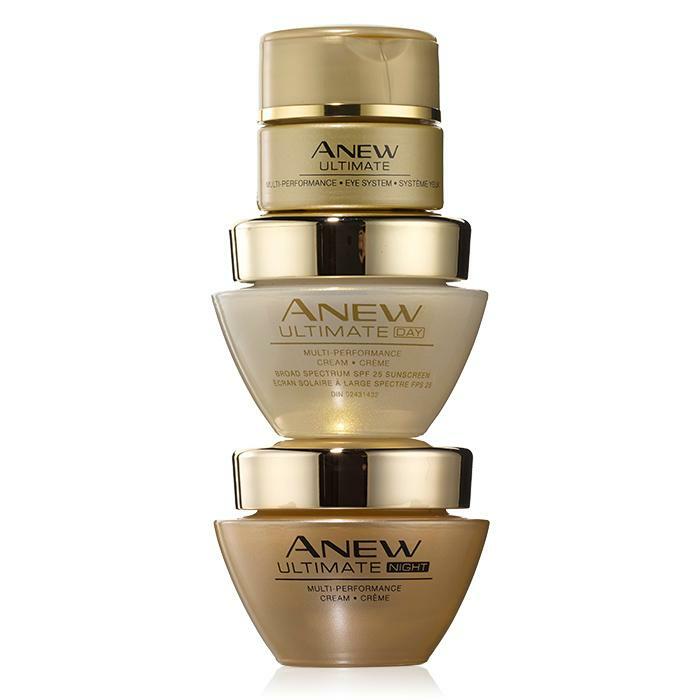 I absolutely love all Anew products. I swear by avon skin care i'm almost 30 and starting using Anew products in my early 20's. Also love Avons perfume as well along with Mark products! A very long time ago I use to order the lip balms. I have shopped with Avon, but it has been a very long time. My mom used to sell it when I was younger. I liked their shower gels and roll-on deodorants. I have shopped with Avon, but it has been many years ago. I couldn't tell you what my favorite product was then. I hace never shopped Avon before but I would consider it. I have shopped with Avon before. I like there makeup and bath products like the Skin So Soft. I learned that Avon was founded over 130 years ago. Yes, I have shopped for Avon products before. I like the footcare products & eyeliners. Avon's Speak Out Against Domestic Violence initiative launched in 2004 and focuses on education, prevention and victim support programs. I used to shop avon all the time. Haven't in a long time keep wanting to try again. Avon was founded in 1886! Avon has been around for over 100 years and speaks out against domestic violence! I use to shop through Avon when I was a teen and had an Avon rep living up the street from me. I loved the cute lipglosses they had. I had one in the shape of a hamburger and the other in the shape of a strawberry. Avon is the leading social selling beauty company in North America. I have shopped with Avon in the past. I don't have one favorite item, but I have always loved the collectibles, especially the snow globes. I am trying to find a replacement for one from Christmas, 1989 but sadly have had no luck. Yes, I have and I love the Haiku perfume. Avon products are sold in U.S., Canada and Puerto Rico. Yes but it's been a long time since I have. Their hand lotions are always around me! I have not shopped through Avon but my Mom has and she has purchased a few of their products over the years. I haven't shopped through Avon before but I'm considering it. Yes, I have shopped through the Avon. My favorite Avon product is Far Away Perfume. The scent isn't overpowering it's just right. I have never shopped at Avon before. I bought Avon over 20 years ago. I have shopped Avon before but it has been a long time since I last ordered. I really love their bubble baths and makeup. I have never shopped through Avon. I haven’t shopped through Amazon. Is this on Amazon? I would love to have one for my wife. The world's leading direct seller of cosmetics and skincare. I love Avon products. By the way congratulations!